Today’s Manicure Monday post is titled ‘Birthday Gold.’ To create this metallic gold manicure I used two different nail polishes. 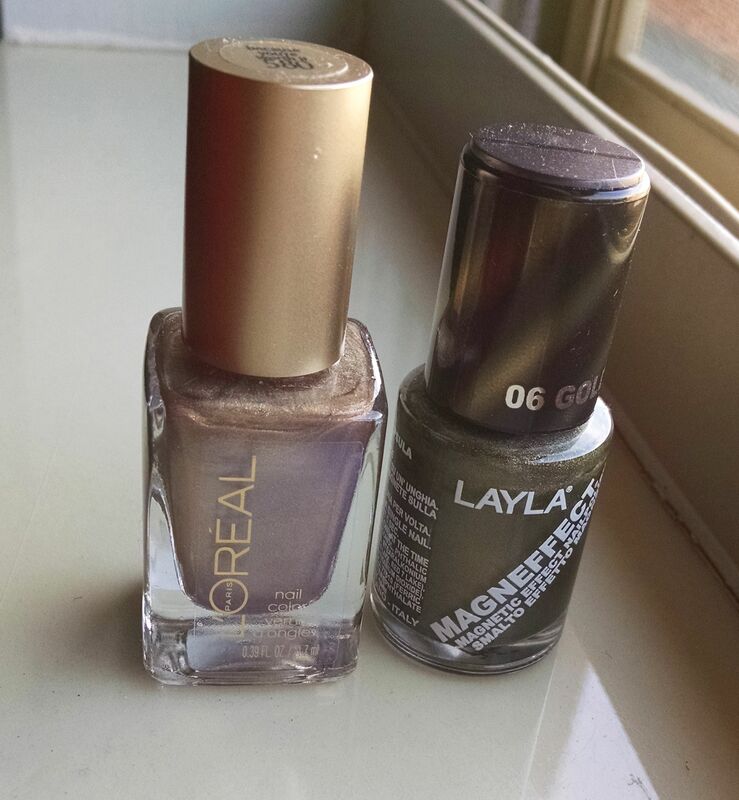 First, two coats of Layla’s Golden Nugget, covered with one coat of Loreal’s Because You’re Worth. Perfect for my birthday on Wednesday! 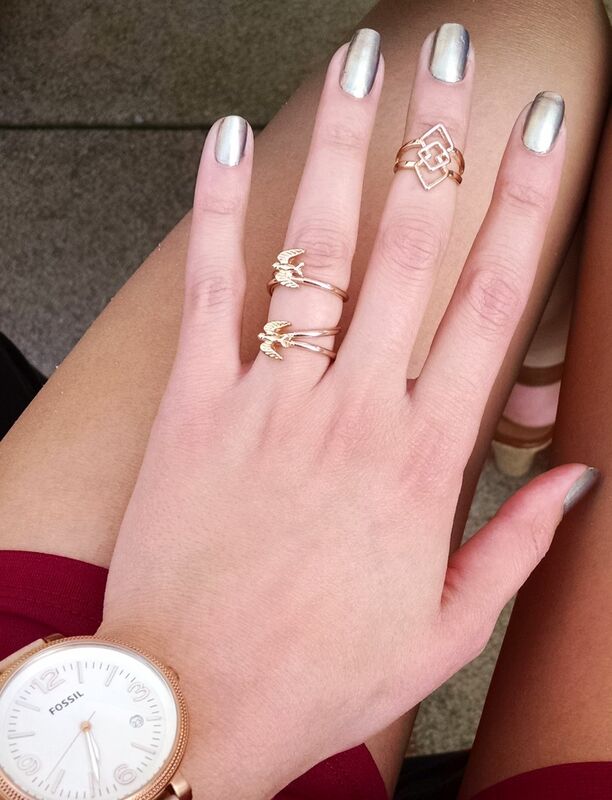 Paired with rings from Claire’s. And a peep of my new Fossil watch!